An Original, one-off piece of artwork. Reference material kindly provided by Emmanuel Keller. 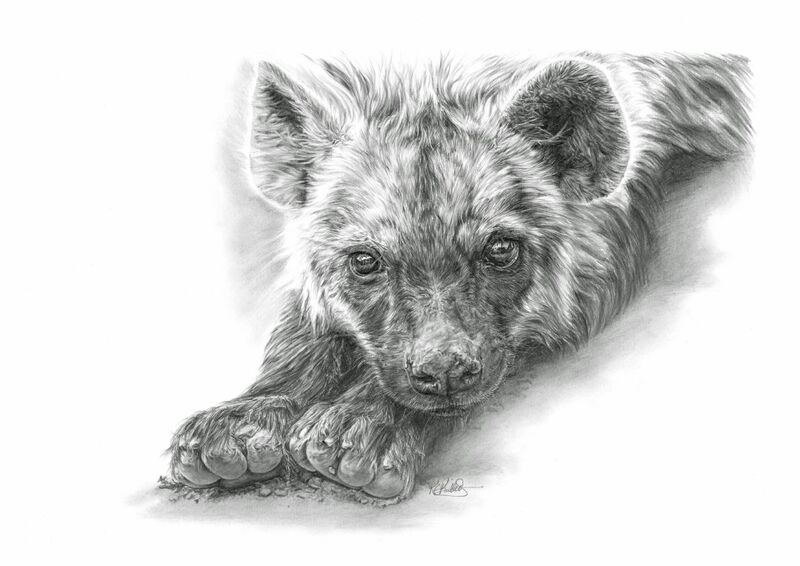 Black and white, Limited Edition Giclée Prints are now available of the beautifully detailed Juvenile Hyena. Limited to just 100 prints at the same size of the original, 16" x 12", this print will look stunning on any wall.